Modular homes or also known as prefabricated homes have come a long way since their inception. It is a method that involves sections which are constructed away from the building site and are after that delivered to the intended site. The installation of these homes is completed on site and the modules can be placed side by side, end to end or stacked. The main purpose of these homes is simple, to meet or even exceed the standards of stick-built homes. Except for the normal size modular homes, you can also choose from the range of prefabricated pod homes which are constructed the same way as the regular ones, but are smaller in size. Both normal and prefabricated pod homes can serve as temporary, long-term or permanent facilities like schools, classrooms, construction camps, civilian and military housing, industrial facilities, etc. Unlike stick-built homes which must be built the old-fashioned way with a crew of workers on site that can take up to several months, prefab homes (of any size) come in pre-built parts which is a much faster way of building a home. Since the parts of modular homes are constructed in warehouses, this can be considered an additional benefit as bad weather cannot interrupt or stop the whole construction process. Another great thing about both bigger and smaller prefabricated homes is that they are considered highly energy efficient. The tight construction and quality windows of modular homes can keep heat inside the home during the colder period of the year and vice versa. 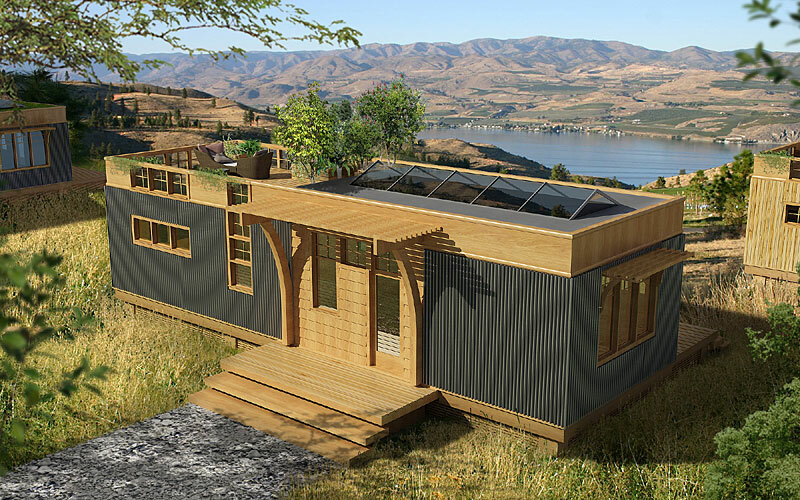 Some manufacturers have even managed to build modular homes that can harness solar and wind power as well. The best part is that all of these houses have a modern and futuristic design which makes them extremely stylish and appealing to the fans of modern homes. According to many studies, building a modular home is more affordable than building a stick-built home since modular homes don’t require a great number of labourers which can save you a great amount of money. As an addition, the heating and cooling aspect mentioned above can also add to the amount of saved money. As you can see, modular homes are an affordable home solution, made out of exceptional quality materials that can meet or even exceed the standards of the ones used in stick-built homes. And finally, modular homes are a smart investment as they are considered a long-lasting type of home that can only increase in value over time. Next story Commercial Kitchen Appliances: What Makes Them Ideal for Home Use?